Some people like to have their credit card available for emergencies — either at home or while traveling abroad. Be careful: that card might not be available to you, just when you need it the most. This article explores the various reasons why your credit card could be canceled on you, along with some tips to help avoid having your own credit card canceled — possibly without notice. I speak from experience: while traveling in Australia, I found out — the hard way, in the throes of an emergency — that my credit card had been canceled without notice, months prior. I’m still here to tell the story though, so my emergency was not life-threatening. But I can’t possibly express the various shades of red I saw when I found out what had happened, and spent countless hours and days on overseas phone calls trying — unsuccessfully — to reinstate the card and rectify the situation. A woman is vacationing in Europe when she discovers that her reward miles credit card is on the fritz. She is stranded and spends hundreds of dollars in cell phone calls to the credit card company and the banks, trying to get out of this bind. There is no retribution granted from the credit card company who had canceled her card outright. To make matters worse, she loses out on the free companion ticket she had just earned with her rewards. How about the person who finds that the gas pump won’t take their card? Nothing is amiss: they are in their home town, use their card regularly and responsibly, and maintain an excellent credit score too. But their credit card is also canceled, without notice. The reason cited? “Something” on their credit report was amiss. However with a spotless credit record, the real suspected reason is that their account wasn’t profitable enough for the credit card company to keep them on board. With the ability to change the terms and conditions at any time, credit card companies can cut loose card holders who aren’t making them money, especially the ones who pose additional risk or are a financial drain to the company. And when times get tough financially, credit card companies tighten their belts along with everybody else. Here are some specific reasons why the credit card company could cancel your credit card. This is the most prevalent of reasons why your card will be canceled, and also the most avoidable. Charge something to the card every few months (even something very small), pay it off right away, and you can largely avoid this pitfall. Don’t settle for a phone call to the credit card company. I had a special note put in my file that I was abroad and would only use the card rarely, in an emergency. The customer service rep I spoke to said that would not be a problem. Two months later, the card was canceled. My suspicion was that my card got canceled by an automated system and not a human being, so the preemptive phone calls and special notes in the file were worthless. If you just applied for a line of credit or other credit vehicle that increases the overall credit available to you beyond a threshold that the credit company is comfortable with (regardless of whether you actually use that credit), they’ll take themselves out of your equation. Anything from house values dropping, to unemployment rising can affect your ability to hang on to that credit card. Credit card companies like to keep their game faces on, and won’t always reveal the true reason why they are canceling your credit card. That’s probably how our friend above had their card canceled due to “something” on the credit report, despite their spotless credit record. Ultimately, it boils down to their bottom line. Hey — that’s business. Let's face it: owning a credit card is a privilege, not a right. Credit card companies are required to give you 45 days notice for making significant material changes to the terms — such as a change in interest rates. However, canceling cards isn’t actually considered a significant material change, and cancellation without notice is still allowed. More than an inconvenience, the cancellation of your credit card can negatively impact your credit score in a few ways. If your credit card is canceled and you are carrying debt elsewhere, then that debt becomes a larger percentage of the overall credit available to you, thus increasing your credit utilization ratio. This decreases your credit score. Longevity of your credit vehicles is important; 15% of your credit score is attributed to longevity. If you have a credit card that is 10 years old and others that are only a few years old, the cancelation of your 10 year old card will have a more detrimental effect on your credit score than the cancelation of one of the newer ones. Once your credit card is canceled, talking your way into having it re-activated requires a minor miracle. So knowing what we’re up against, here are a few preventative measures you can take to increase the chances that you aren’t stranded at the gas pump (or in a distant land), idle plastic in hand. Avoid cancelation due to inactivity by using the card every couple of months. The size of the purchase is irrelevant, and you can pay it off immediately too. Maintaining a credit utilization ratio below 25% will keep your credit score high. If you have multiple credit cards, pay special attention to the ones you have had for a long time. Losing them will be the most detrimental to your credit score. Please note that you can do everything right and still end up a victim of credit card cancelation. But hopefully these preventative measures will keep you out of the spotlight and off the top of their cancelation list. If the deed has already been done and you’re looking for retribution, here are a few things you can do. Order a copy of your credit report from one of the big three credit bureaus (Equifax, TransUnion, and Experian). You are entitled to one free report from each of the bureaus every year. 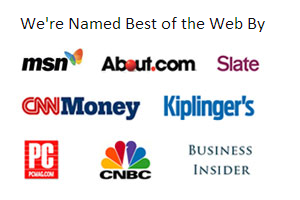 You can also use a free service like Credit Karma. Make sure there aren’t any incorrect postings in there that have affected your credit score through no fault of your own. Nothing is lost (save for some time and possibly a chunk of your patience) by trying to call the credit card company. Who knows — they might take a look at your account and decide you’re worth keeping after all. You never know what you can get unless you ask. (A word of advice: be polite and friendly, and ask for the manager if you aren’t getting anywhere). But just because I’ve fallen victim to having a card canceled without notice (leaving me in the lurch no less), I’m not going to eschew the conveniences and benefits of credit cards that I’ve become accustomed to. To do so would be to shoot my own foot based on principle and anger, and I’m not into self-mutilation. Instead, I’ll make sure to use my backup card regularly and continue to pay the balance off each month. I’ll pay closer attention to the rules and fees, and be sure to stay on the same game page as the credit card companies from now on. For more articles about credit cards, please see our Ultimate Credit Card Guide. Have any of you experienced a canceled card without notice? Were you able to get it reinstated? I once discovered my debit card had been cancelled for no reason I could figure out. When I called my bank, they told me that there had been suspected fraud at a store where I'd been shopping (they didn't tell me which one), and the bank preventatively cancelled every card that had been used there for a few days on either side of the known incident. I was able to get another card without too much hassle. So it might not actually be any fault of your own. I agree that calling the company is probably your best bet as a first step. Similar to Julie, Bank of America canceled one of my credit cards because they thought "it had been compromised by some transactions on Amazon". Hmmm, they didn't say a word. I was just on my way to Australia (ironically enough for this post) and was planning to use it as it was a rewards card. I found out by checking my account on line and finding it had "disappear". A call to BofA revealed the reason. As I sweetly pointed out to them that I appreciate their oversight and protecting my credit, I was planning on using it on my trip on which I was leaving the next day. That did give the customer rep pause understanding they were going to lose that business. Lucky I had another card which I used, but them not telling me WAS NOT HELPFUL. @Julie - You bring up a great point; in fact my boyfriend had his credit card cancelled on him (again, from abroad) because of suspected fraudulent activity, and they had an old phone number on record. So when they couldn't reach him, they simply nixxed the card. @NMPatricia - Doh! On the eve of your vacation no less...but at least you had a back-up card. Maybe that's another bona fide way to protect yourself from these problems...have more than one active card. Lastly, another great way to make sure your card isn't swiped out from under you while on vacation, is to call the credit card company to advise them of your trip, and that you'll be using your card abroad. It isn't a failsafe, but if you don't call, the chances are much higher that your card will be flagged for suspicious activity. I feel for anyone that this happens too, seriously. I don't have a credit card, I just have a bank card so I'm luckily ok. I had my credit limit drop significantly because I stopped using a particular card on a regular basis. It went from over $20K to $7500. If you are traveling overseas, I recommend you call your credit card company anyway and tell them. Even if your card limit has not changed, you run the risk of them thinking it is a fraudulent transaction. I would like to get my credit line increased. Do you have any tips concerning that? Thanks. Charge enough that you approach 50% of your credit limit. Pay off card in full. Repeat that for a few months and the card company will probably raise your limit on their own. If they don't, give them a call and ask them to, and they almost surely will. What happens is that their computers will conjecture that you're limiting the amount you charge because your credit limit is so low, so they'll raise it in the hope that you'll charge more. Just a few months ago, my Amazon.com credit card was cancelled. I only used it once in the two years I had it, though. I have a credit card I use regularly (and pay off regularly!!) and the only reason I got the Amazon card, was to save $30 on what I was buying at the time. I have EXCELLENT credit, so I was suprised...but I totally understood, cause I never used it after my $30 less transaction. The great way to make sure your card isn't swiped out from under you while on vacation, is to call the credit card company to advise them of your trip, and that you'll be using your card abroad. My credit card company just canceled 4 of my cards just because I called them and asked a question. I've been with them since 1994 and I have never been late or missed a payment. They just decided that after years of their increasing my credit now they think I have too much. My FICO score is near perfect and now it will go way down. I don't even have the choice of canceling myself and I did nothing to deserve this. What can I do? @Karen - Have you tried calling the credit card company up yet? Was it they who told you they thought you had too much credit? I always like to politely ask for the manager to escalate the issue if I don't get anywhere initially. Keep trying....cancelling four cards without notice and without reason seems odd. Before you throw your plastic through the paper shredder, follow these steps to ensure your financial security. * Before canceling, really ask yourself: do I have a good line of credit with this account? If so, it might be beneficial to your credit score to maintain that credit line. Instead, cancel another card not used as frequently. * Don’t announce your cancellation plans to your credit card company. They can easily jack up your monthly interest rates. * Completely pay off any balance on the account. As long as your credit cards are balance-free, the cancellation will have no impact on your credit score. * Even after paying the balance, be sure to pay off any extra interest associated with the account. * Call the credit card company to get verbal affirmation that your account has been closed. Write down the name of the representative you speak to and keep this is your finals for future references. @Accurise - Great tips. Thanks! 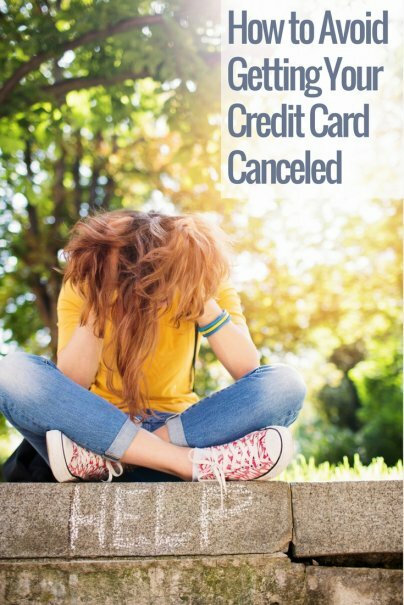 Cancellation of your credit card can be annoying especially when it was canceled at the time you need it the most. So it is really advisable to follow the steps cited above in order to avoid cancellation of your card. In case, that your card is not used in months before you go on swiping it call the credit card company first to confirm if its still working or not. Get a credit card from a local credit union that owns their accounts (not one where they immediately sell the account to a large institution for a percentage of the profits). The usual maximum credit limit is $10K, but they won't shut down your account without telling you first unless you are seriously delinquent on payments, if the account has fraudulent activity (in which another account would be opened for you upon your request), if you file for bankruptcy (even if the account is paid off at the time) or if you die. Also, notify that credit union before you make any out of country purchases. I forgot to do that (for one purchase online, luckily) and the CU thought it was fraud and shut down the account. Since I was not home when they called to notify me, my card was declined the next time I attempted to use it (a couple of weeks later). When I called and told them that I had authorized the charge, the credit line was reopened without further incident. Other than a itchy trigger finger if they are not told of international use before the purchase, it is a lot easier to deal with than a profit-driven large bank. If you are in the UK, look for a building society (essentially a credit union in the UK). This is really a good post. It tells me why some companies reject my cards. Thanks! I just had a card cancelled yesterday. It was a BMO Mosaic Airmiles card. I had had it for over 13 years. I used it all the time. Every single month I put thousands on it, and spent thousands. It usually had a balance, but not always (maybe 8 or 9 of 12 months kept a balance). Paid $300 a year for travel insurance, and extra airmiles. Even when it had a balance, I'd go grocery shopping, use the card, then stop by the bank and put the cash on the card to cover the groceries. I went to use it, and BAM. Declined. When I called them they said it was my 'co-borrowers' credit. I had hubby check his scores right away after work, thinking maybe someone stole his identity or something. His credit was GOOD, same as always. When I first added him to my card as a "Supplemental Cardholder", NOT as a co-borrower (not sure where they got that from, he'd signed nothing in 2005 when I got him a card), he had no credit, a bankruptcy all kinds of crap on there. As of yesterday (the day they cancelled my card), we both have very good credit. The only explanation I can think of is that we were getting way too many miles for them. Hundreds every month. And because of the type of card, the flights we got were 25% off. We only ever used the airmiles for flights. I can only assume that the interest we did pay on the account was not worth all the benefits we were getting from it. They suggested I go into BMO and get myself a line of credit from them. Cracks me up really. I'm done with them. I will be taking my savings account out of their bank too. It would have been much easier for them to just take him off the account, if that was indeed the real problem. That seems really strange, but not unheard of unfortunately. If you wanted to salvage the account, I would suggest you call them (and escalate the issue to higher levels of customer service if you don't initially get the answers you want - such as with the line of credit suggestion). It sounds like they had no right to cancel, especially since your husband was a supplemental cardholder and never signed anything. But then again, I understand your frustration with the process and institution; I'd be hard-pressed not to react in a similar fashion if I were in your shoes. I believe it was BMO who cancelled my card and inspired this article. I want to correct you on "Decrease in Credit Longevity" section of your article. I live and work overseas in Africa and just discovered my credit card was cancelled without notice. I was confused because I had payed off all my bills regularly and had been a customer for many years. Apparently, after paying one bill online, a 1 dollar interest charge popped up and started accruing late fees for the next three months. Since I live in a rural area I had no way of knowing this until the next time I used my card, I payed the total balance not even knowing I had carried the one dollar charge, and then they cancelled the card after the payment was received. When I just spoke with them on the phone they said there was a small possibility of them being able to reinstate the account. I'm disinclined to do business with them, but I'm not sure whether it would be in the best interest of my credit score to maintain that account if possible. Any advice--or similar experiences? ?